Pets Best Insurance: Don't feed Fido sushi! Many people enjoy good sushi, which is, of course, prepared safely and is eaten with little risk. But when Fido is scouting the banks of the river on your next camping or fishing trip for raw versions of his or her own ‘sushi,’ you might be wary, even if you have dog insurance. Some raw fish found in the Pacific Northwest can lead to Salmon Poisoning, an acute and often fatal disease if left untreated. The snail has to become infected with a type of parasite called a fluke. The fluke has to be infected with a type of Neorickettsial bacteria. The larval stage of the fluke containing the bacteria can penetrate the skin of the fish, who are not affected by this and don’t become sick. The fish has to be a salmon, steelhead or trout. The dog then has to eat the raw fish, therefore ingesting the parasitic fluke with the harmful bacteria. Generally about one week after eating the infected fish, the dog will become sick, developing diarrhea in which the parasitic fluke egg is released in the feces, contaminating the ground where snails can pick it up and the cycle repeats itself. Did you follow?? Dogs with this condition generally have a high fever, sometimes over 104 to 105 degrees, and horrible watery, bloody diarrhea. About two thirds of patients will have swollen lymph nodes as well. The bacteria released by the fluke can spread to the liver, lungs, brain, and lymphoid tissues causing damage. Definitive diagnosis is made by finding the eggs of the fluke parasite in the dog’s feces, even though it is not truly the fluke that is causing the illness. A cytology of the lymph nodes can sometimes provide clues to this diagnosis as well. Of course, a history of access to raw fish in the past week is also helpful. Your veterinarian will likely want to run blood work to determine the extent of damage done to organs and the vast majority of patients will need to be hospitalized in order to prevent dehydration and in order to adequately treat. Pet health insurance will undoubtedly be beneficial in order to ensure the pet has the best care possible and treatment doesn’t become a financial strain for the owner. Unless treated, dogs can succumb to infection within 7-10 days. This illness can mimic parvoviral enteritis, which is typically vaccinated for, but a test to rule this out might be indicated. Treatment can be costly, which is why dog insurance can be so beneficial. Depending on the severity of the illness the pet may need hospitalization, fluid support, antibiotics (to kill the Neorickettsial bacteria) and anti-parasiticides (to kill the fluke parasite). Once infected and recovered, dogs generally build a strong immunity to this disease. In order to prevent this potentially fatal disease, Dogs should not be permitted to ingest raw salmon or similar fish as well as smoked raw salmon. The Neorickettsial bacteria is not zoonotic, meaning people cannot contract this disease, nor does it cause any illness to other domestic species, including the cat. 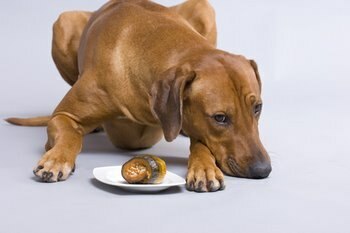 So next time you’re chowing down on crunchy salmon sushi rolls, be sure not to share the treat with your pup.